A massive crackdown on a group of Buddhist monks and nuns is underway in Vietnam. The targets are members of the Bat Nha community, followers of Zen master and peace activist Thich Nhat Hanh. The public outcry over the event at home and abroad is turning the situation into a headache for Hanoi. But it doesn’t need to be that way. On Sept. 27, a mob violently evicted 379 monks and nuns from their monastery in the central highlands. Emergency calls for help to police were ignored, according to reports we have received from the monks and nuns and from witnesses at the scene. About 130 monks were attacked, four were sexually harassed, and monastery buildings were ransacked. Several dozen monks were abducted in vehicles; the remainder were force-marched in torrential rain more than 15 kilometers to the nearest town. More than 200 nuns, barricaded in their residence and threatened by the mob, fled the next morning. Hundreds of monks and nuns regrouped the next day in the small Phuoc Hue temple in Bao Loc town under the shelter of the abbot, Thich Thai Thuan. But policemen from the villages of these monastics tri ed to disperse the community by forcing the monks and nuns to return to their homes through intimidation, threats and public denunciations. Twenty-seven monks and nuns were forced to return home and many policemen still roam the grounds. The government denies any involvement and says this episode is only a dispute between two Buddhist factions, but a leaked government document dating from last year from the Committee of Religious Affairs notes that the Bat Nha community has organized activities without permission and expressed opinions on “political matters.” The document suggests the government could eventually “force those who created problems to return to their hometown,” which is what the government is trying to do now. The “political matters” could mean the Venerable Nhat Hanh’s comments on Hanoi’s religious policies; Hanoi also could fear his popular influence among the intellectuals and youth of Vietnam. Since its founding in 2005, Bat Nha has grown from a small community of only a few monks in the state-sanctioned Buddhist church into a monastery housing hundreds of Ven. Nhat Hanh’s followers. The young monks and nuns, between the ages of 15 and 25, come from all sectors of Vietnamese society. Each month, hundreds and occasionally thousands of Vietnamese flock to Bat Nha for special events and meditation retreats. Ven. Nhat Hanh’s 2005 return from a 39-year exile was one of many important steps Vietnam took toward freedom of religion and a more open society. This helped to pave the way for Vietnam’s removal from the U.S. State Department’s list of Countries of Particular Concern for violations of religious freedom, and for Vietnam’s accession to the World Trade Organization in 2007. The crackdown at Bat Nha calls into question those earlier achievements. Meanwhile, the repression is inspiring ordinary Vietnamese citizens to protest. In a country where voicing criticism of the government can mean imprisonment, more than 400 intellectuals, scientists, Communist Party members and ordinary citizens, of whom 200 are inside Vietnam, signed an open letter drafted by writer Hoang Hung on Oct. 5, saying the events at Bat Nha and continued harassment of the monastics are an “urgent situation which threatens the country both domestically and internationally.” They called on the government to take action to investigate the attack and ensure the well-being of these young monks and nuns. The government of Vietnam now must respond. Will it disband a peaceful Buddhist organization, or move to fully protect religious freedom as required by international covenants and treaties to which Vietnam is a party, such as the International Covenant on Civil and Political Rights, and as Vietnamese citizens demand? Vietnam is currently serving as president of the U.N. Security Council and chair of the Association of Southeast Asian Nations in 2010. There is no better time to show the world its leadership on these important issues of human rights. The monks and nuns still wish to return home to Bat Nha monastery. If this is not possible, the government, through its established Buddhist church, could at least reaffirm the monks’ and nuns’ legal right to practice together as a religious community at another location. These young monks and nuns want nothing more than to serve their country and humanity and are fine examples of the true beauty and determined spirit of the Vietnamese people. We call on Hanoi to act now to safeguard the Bat Nha monastics’ well-being and provide legal rights for all Buddhists in Vietnam to worship without restrictions. Such actions can show that economic progress can go hand in hand with spiritual growth and can only increase Vietnam’s standing in the world, and that Hanoi’s fear and suspicion of these young monastics are unfounded. By Thich Chan Phap Dung. From the Internet. Quite sad by the Events happening here , what can we do to change it? Even in Burma & Nepal the same thing is happening though its still worse in Burma. 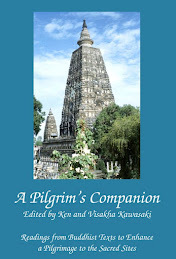 Goenkaji says that we Indians have to be thankful to Burmese for Preserving the technique of Vipassana Meditation in Pristine Pure form. I am indeed very thankful for that , my life wud have taken a worse turn if not for Vipassana. I will pray & Give metta to the affected People. I am careful with the Thich Nhat Hanh sect now, after some research. As Prof. Prebish said, it is not confirmed that TNH is in the Linji tradition at all, like TNH always states. Actually, this tradition is no longer alive in Vietam, at least not in the line where he comes from. Also, he just founded an institute in Waldbröl/Germany where students will really get licenses after some "courses" that should qualify them as "zen teachers", s.th. quite unheard of in really traditional zen. 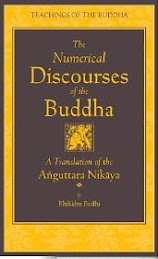 On top of that, TNH is one of the shareholders of the limited company behind this "European Institute for Applied Buddhism" with an investment of 10.000 Euro - which is prohibited by his own monastic rules. As with another Vietnamese temple in Frankfurt (TNH is located in France and there are also quite dubious landowners of his "Plum Village"), the statute quite clearly favours Vietnamese and almost excludes Westerners - although they provide a lot of support. I myself heavily criticize TNH's careless labelling as a "zen master" because he would at the most be a "Thien master" which would already imply a mixture of chan buddhism with Amida and ethnic beliefs. Therefore, and due to his naivety with which he trusted some police or soldier as co-owner of his temple in Vietnam and thus wasted a lot of dana (money), I just think that karma gets to him now. Hi Angkor, do pardon me if I got you wrong. It is also good to be careful to not sound lke broadly labelling Karma as the main reason for such abuses. Each of us are responsible for our individual actions. Any form of abuse cannot have arisen out of wholesome motivations. Any wrong previously done by the victim(s) does not make the abuse any less wrong nor make the perpetrators any less responsble. Dear So am i ... this was a bit ironic, to just "blame" karma for it. Although I believe that a law of cause (arrogance and greed) led to the effect (loss of the temple), with side-effects and karma that cannot be influenced by the suffering individual (except for the way he sees it). For me it is one thing what the scriptures say, another thing what's reasonable. For example your quote: I have been to Tuol Sleng prison in Cambodia (as a tourist). I am pretty sure that a lot of the inmates there, some of them children, had "pure minds" - but the thing that followed, torture and killing, is not what I would consider "happiness". So this is more a question of who is in charge, a matter of power, than a mystic rule. Most of the monks and nuns of the Thich Nhat Hanh sect probably have rather pure minds - but happiness does not always follow them. As far as I can see this whole series of events is entirely due to TNH's arrogance and inept attempts to play Vietnamese politics, and it's his "children" in Vietnam who have had to suffer the consequences. Some father! As Angkor has pointed out, although in the past TNH did some wonderful work for Vietnamese boat people, he is now seemingly primarily a businessman. His monks and nuns are all engaged in business at Plum Village and all handle money, which goes right against the Vinaya. Significant amounts of money are charged to stay at Plum Village, but there is little sign of it being used to maintain or clean the facilities for which retreatants pay. Summer retreatants ended up having to repair dysfunctional showers themselves for which they had already paid. I wonder where the money actually goes. useful?) Thay himself has said that the fact that it rained heavily afterwards showed the power of the events. No doubt if the sun had shone he would have claimed credit for that too. This may be Vietnamese folk religion or some kind of New Age practice, but it ain't Buddhism. As well as being a pretend Buddhist teacher, he is also now a failed politician. He teaches that politics and religion should be kept separate, but ignores this himself. He specifically asks his students, even those from outside the USA, to get involved in US party politics and support Barack Obama. His Washington Mindfulness Centre even made a donation to his campaign. A Plum Village publication advised the Vietnamese Government to drop Communism. (I'm not aware that, despite the current troubles, the Vietnamese Government has ever advised TNH to drop Buddhism!). TNH also tried to interfere in the politics of Tibet, which any intelligent person knows is not going to achieve anything and will only upset China and make things worse for everybody. The result was predictable - China got the Vietnamese Government to retaliate against TNH's sangha. Even then, the position could have been resolved if TNH had listened. His monks and nuns were given almost A YEAR'S notice to leave Bat Nha and find somewhere else to practice, but they refused to go. Not only is this not the famous TNH "deep listening", it's not listening at all. Ignoring the rights and wrongs for the moment and just looking at the practicalities, it's just plain stupid to ignore an eviction notice. You don't criticise a scorpion for stinging you - it's what scorpions do. You don't criticise a tiger for trying to eat you, particularly if you have been poking it with a sharp stick and provoking it for over a year. It's what tigers do. You steer clear of angry tigers, you don't continue to provoke them ... unless perhaps you wish to create a dramatic incident. The "official" Buddhist church has steered clear, so has the Vietnamese Medicant Order, and they are both allowed to practice in peace. It is only TNH's inept attempts to play politics that have caused this situation. It is difficult to see what he hoped to gain. TNH's seemingly increasing egotism is a real cause for concern. A personality cult appears to have developed around him, seen in the fawning and sometimes almost hysterical behaviour of his monks and nuns (especially the younger ones), that is really unhealthy, both for him and them. He does nothing about it, either because he doesn’t see it or because he doesn't want to. Being surrounded by uncritical adoration isn't good for anybody. When he was ill recently his writing was all about his own continuation, which seems to preoccupy him more and more. His disciples have long called him Thay and he now calls himself Thay, as if he is somebody else. I wonder if a combination of aging and everybody around him relating to "Thay" and never to a human being is provoking a kind of dissociated state and if some psychiatric intervention might help. His "Bhat Nha children" have suffered violence and homelessness while he has lived comfortably in France with his multiple huts at the various hamlets at Plum Village, his permanent male attendant and his two permanent female personal cooks, writing letters to tell them that he's not worried while they're homeless. He claims that he wants to build people, not an organisation, but the reverse appears to be true, and it's the people who have suffered. 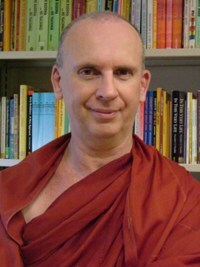 The poor young people in his sangha seem to think that the only way that they can practice is in that particular group. Haven't they come across the basic truth of impermanence? Apparently not! Haven't they noticed the Buddhist organisation next door that isn't creating a problem? There is also, as Angkor points out, the question of the use of sangha resources. The sangha has been reported many times as donating about USD 1 million to build the facilties at Bat Nha, all of which now apparently belong to somebody else. If I had donated money I would be asking some serious questions of the Plum Village organisation about how they had used it. Thanks for your comments and observations. If what you say is true it is very sad news to hear. I met Thich Nhat Hanh back in the late 80’s and was deeply impressed, although I did notice what looked like the early stages of ‘fawning’ and unthinking devotion in some of those surrounding him. I hope someone might submit a comment offering perhaps another perspective on and his organization, work and character. 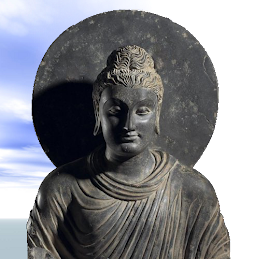 Questions arise out of doubt – and as the Buddha put it: “It is good to be uncertain, it is good to doubt. Uncertainty arises towards something that is doubtful”. In order to understand the situation of the Bhat Nha community, we should take a close look at the causes and conditions of the events. I feel that in the picture given here by supporters of Thich Nhat Hanh some very essential parts are missing. So let’s recapitulate the situation when Ven. Thich Nhat Hanh was invited by the vietnamese government and he followed that invitation in 2005. In November 2003 the European Parliament had issued a resolution heavily criticising the suppression of religious freedom in Vietnam; in September 2004 the US Department of State declared Vietnam a "Country of Particular Concern" in terms of the International Religious Freedom Act, a self-commitment of the US adminstration to undertake measures including severe economic sanctions if there would be no correction in a given term. Since Vietnam wanted membership in the World Trade Organization (WTO), something had to be done. The regimes answer was – a huge propaganda campaign with Thich Nhat Hanh playing a major role in it. And it worked. In November 2006 the status "Country of Particular Concern" was cancelled, two months later Vietnam received status “Permanent Normal Trade Relations” (PNTR) and in January 2007 Vietnam became 150th member of the WTO. Obviously it’s time now to switch back to normal. Not that this ‘normality’ had ever really changed for the persecuted und suppressed Buddhists and Catholics in Vietnam. It’s just that Thich Nhat Hanh and his followers are not needed anymore. There is something good about that (please don’t take this as a cynical remark) – hopefully Thich Nhat Hanh’s popularity in the west will provide at least some attention to those Vietnamese Buddhists that are persecuted since over 25 years, not just since last year. Thich Nhat Hanh should have known better. He could have known – if he had listened to those, who had better insight into the situation. For instance the outlawed and persecuted Unified Buddhist Church of Vietnam (UBCV) who – via their bureau in Paris - strongly resented Thich Nhat Hanh’s visit as a wrong signal at the wrong time, a time when international pressure at last seemed to make an impression on Hanoi. Consequently the leaders of the UBCV refused to play their part in the staging of that charade of religious tolerance – a charade that now we have the chance to view as a didactic play. 87-year old Thich Huyen Quang, patriarch of the UBCV and under house arrest since 1982 as well as his successor and then deputy Thich Quang Do utterly refused to receive Thich Nhat Hanh and his entourage – not just his own followers, mind you, but also officials of the National Committee of Religious Affairs and the Vietnamese Buddhist Church (VBC) sponsored and surveyed by the Committee. “They devised insidious, underhand methods of pitting Buddhists against Buddhists, in order to undermine our movement from within. Beginning in 2005, they used a number of monks from abroad, especially Thich Nhat Hanh, to launch a so-called ‘reconciliation’ plan. They were convinced that Thich Nhat Hanh had the ability to make this plan succeed. ‘Reconciliation’ meant merging the UBCV and the State-sponsored Vietnam Buddhist Church (VBC) together. For us, joining with the VBC meant accepting to become lackeys [of the Communist Party], so we refused. Thus, Thich Nhat Hanh’s first trip back to the homeland misfired. That plan failed – the late Patriarch of the UBCV Thich Huyen Quang issued an edict (Edict No. 9) to reorganise the UBCV Overseas Office as an answer to the attempts to to infiltrate and manipulate dignitaries of the UBCV sections in Europe, Canada, the USA and Australia. Exactly the failure of that attempt was the moment when Thich Nhat Hanh ceased to be of any use to the Vietnamese government – and his followers consequently were no longer welcome in Vietnam. So in June 2008 the campaign against Thich Nhat Hanh’s followers at Bhat Nha started. 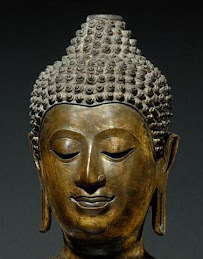 Just to make one thing clear – Bhat Nha does not belong to Thich Nhat Hanh or his sangha (though they undoubtedely invested a lot of money there). These young people (mostly between 18 and 25 years old) Thich Nhat Hanh sent there were guests. Guests, that were no longer wanted but refused to leave – until they were forced to. The abbot of Bhat Nha, Ven. Duc Nghi, who invited the Plum Village Sangha to Bhat Nha, belongs to the state-sponsored VBC, not surprisingly. It would be naïve to suppose that the invitation to Bhat Nha was not concerted with the National Committee of Religious Affairs. More likely, it was the Committee who took the initiative. The hand that gives, the hand that takes.